Doctor Who: Revisiting THE DOCTOR’S WIFE | Warped Factor - Words in the Key of Geek. Dr. Moo is like a nine-year-old trying to assemble a motorbike in his bedroom. 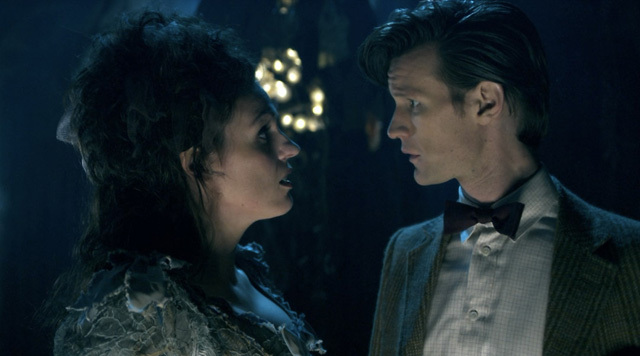 The Doctor’s Wife is a unique story in the history of the show, quite unlike anything that had come before – the Doctor gets to talk to the TARDIS in person! The TARDIS has always been there – wheezing, groaning, working, not working – for centuries (well, centuries in-universe at least). 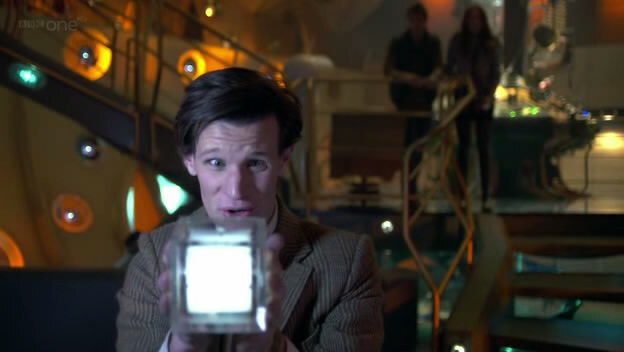 Companions come and go, even the Doctor changes, but the blue box-shaped time machine has always been the same. It has been the one constant in the show and the only thing about it that you can guarantee will never change. We’ve known that it’s sentient on some level since even as early as the third story ever broadcast, and indeed the Doctor, no matter what face he’s wearing at the time, has always spoken to it as though an intimate friend but never has it had the chance to respond in kind. Until now. This premise is something quite special and it begs one simple question: Why had nobody written something like this before?! From the pen of the master of fantasy Neil Gaiman, this story had to do a lot to live up to that premise but if anyone could do justice to that idea Gaiman was that man. I’m not saying he’s perfect (as anyone who has seen his other Doctor Who contribution Nightmare In Silver can testify!) but when he gets it right he gets it REALLY right and he does so more often than not, so he’s safe hands to deliver such a unique story. He’s one of those “Celebrity Fans” that this show has and so what he gave us here is a love-letter to the show that explores the relationship between the mad man with a box and the box itself in totally new way; no small feat for a show in its 32nd broadcast season! But to pull this off you don’t just need a decent writer like Gaiman, you need a cast who can do justice to the script. Thankfully that’s exactly what The Doctor’s Wife has going for it. I don’t need to tell you that Matt Smith is convincing as the 11th (and best) Doctor because that would be like telling you the sky is blue or that it will rain on a bank holiday; it should go without saying. Similarly reliable are Karen Gillan as Amy Pond and Arthur Darvill as Rory Williams, both given the chance to take the old Doctor Who trope of running through corridors to its fundamental extreme but without making it seem like we’ve seen it all before even though we have. In a voice-only performance we have Michael Sheen as the villainous planetoid House who has taken over the TARDIS and he creates a real sense of menace despite never being seen on screen for even a second. He’s a truly memorable villain with believable motives and a potential even match for the Doctor, presenting him with a killer’s cupboard of Time Lord relics and driving the Doctor almost to a “War Doctor” mindset. House is one of those one-shot villains you never forget and we don’t even get to see him. HOUSE: Fear me, I’ve killed hundreds of Time Lords. DOCTOR: Fear me, I’ve killed ALL of them. 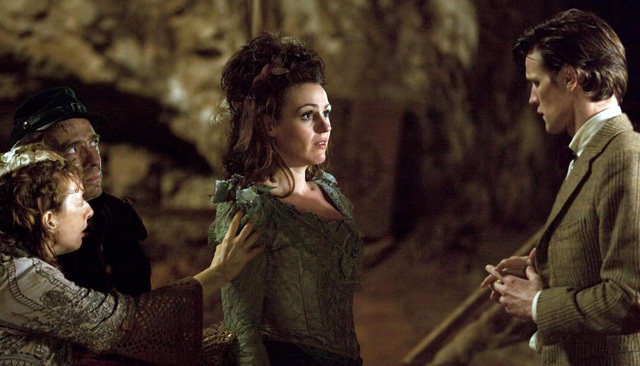 But best of all, the reason why this episode is an all-time classic, the reason why you’ll come back for repeat viewings, is Suranne Jones as Idris. She’s so wonderful in this story that I’m having trouble finding the words to describe it! In her role of Idris she has to somehow sell the idea that even though she is a human she is still the TARDIS. Jones takes this concept and runs with it; as witty, clever and poignant (“Are all humans like this? So much bigger on the inside!”) as Gaiman’s writing is, it’s Jones who makes it work. When I say she pitches her human TARDIS exactly right it’s not just me saying that the acting’s good (though I am definitely saying that) but I’m saying that it’s perfect. The cutesy, wacky, crazy quirkiness is something that not many an actress could do without being boring or off-putting but she manages it and that’s no small achievement. Doctor Who has always, especially under Moffat, managed to get some stellar guest performances and Jones has to rank among the very best. Her chemistry with Smith is good too; you really can believe that if the TARDIS and Doctor could talk to each other then this is how those interactions would be. Another great thing about this story is how good it looks. The Eleventh Doctor’s first (and, at this stage, current) TARDIS console room is used to great effect. The room is supposed to be a safe haven in the dangerous universe the show takes place in, yet in this story it isn’t. When House takes control the console room becomes this dark and foreboding place that you really won’t want to be in, and praise for this goes to the lighting. Nothing special here, just darkening the room creates a new menacing sense when you see the characters go in there. Similarly good work is done on the House planetoid with its dystopian feel and the TARDIS junkyard (Nice reference to An Unearthly Child – well done!) is a particular standout set. We also get to see around the TARDIS interior beyond the console room. If the geeky factor isn’t high enough already, we learn that the old TARDIS consoles have been archived allowing for us to see the console room used by the Ninth and Tenth Doctors just for good measure. To be honest I’ve always felt like that version of the console room is my least-favourite (too bland and not enough going on for my liking) but the chance to see it again is fan service done right – and I love it! As well as seeing the old one we also get a new one-off version of the TARDIS console when the Doctor and Idris design one. It’s something that came about because of a Blue Peter “Design A TARDIS Console” competition but (unlike a certain other Blue Peter competition winner) it is incorporated naturally into the story and actually seems like a deserving winner. I’d even go so far as to say that it’s better than some of the professionally made designs we’ve seen before – and if that’s not high praise then I don’t know what is. Susannah Leah, take a bow! Another thing I like from this story is the character of the Corsair. He’s died off-screen before the beginning but we learn from the Doctor that the Corsair was (yet another) renegade Time Lord… or sometimes a Time Lady! And the Doctor talks about this like the most normal thing in the world. The Corsair is evidence that regeneration can change gender – I don’t want to start a debate but here’s indisputable concrete proof that it’s possible; now grow up and get over it. 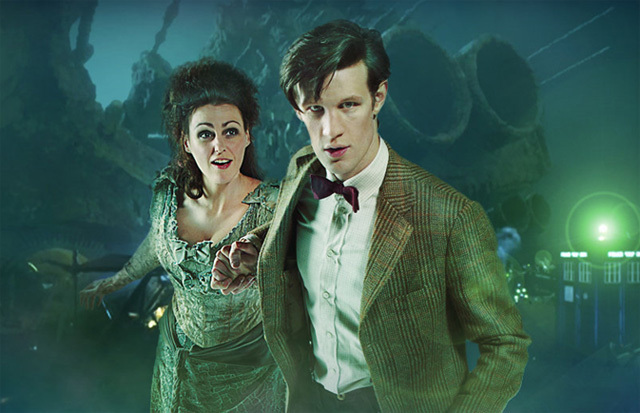 So all in all, The Doctor’s Wife is an amazing episode. It explores the relationship between the Doctor and his one constant companion in an exciting new way. This examination of their special relationship will make you actively choose to come back to this story again and again and again without it ever getting boring. And that’s something very few Doctor Who stories can do.